Compact, user-friendly storage tray for desktop or drawer made of premium-quality plastics. 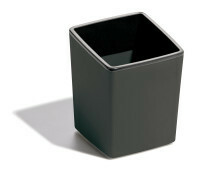 Attractive, innovative drawer box with five colorful drawers made of premium-quality plastics. Each drawer is color coded to aid document organization. For letter size documents. 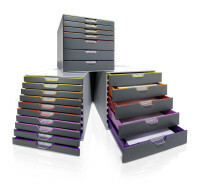 Attractive, innovative drawer box with 10 colorful drawers made of premium-quality plastics. Each drawer is color coded to aid document organization. For letter size documents. Set of five elegant letter trays that can be stacked vertically or staggered. Colored cut outs with easy access provide comfortable orientation. Attractive, innovative drawer box with four colorful drawers made of premium-quality plastics. Each drawer is color coded to aid document organization. Lockable top drawer. For letter size documents. Attractive, innovative drawer box with four colorful drawers made of premium-quality plastics. Each drawer is color coded to aid document organization. For letter size documents. Set of two elegant letter trays that can be stacked vertically or staggered. Colored cut outs with easy access provide comfortable orientation. Innovative mobile box offers maximum flexibility. Ergonomical and functional. Suitable for use at the workplace and for transport. 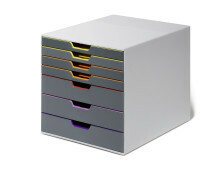 Attractive, innovative drawer box with seven colorful drawers made of premium-quality plastics. Each drawer is color coded to aid document organization. For letter size documents.